Wonder if any of the ones that San Franciscans picked up back then are still proudly displayed anywhere in this city? I’m in Boston for the holidays, and today I did one of the few things you can do in New England that you just can’t do in California–I went candlepin bowling. While I waited for my friend Deb to arrive at the alley, I checked out its video games–and found that one of them was The Act, an “interactive romantic comedy” which I’d read about on Cartoon Brew earlier this year. Dragon’s Lair was a game with a simple input device (a joystick) and game play that was almost beside the point (you thrashed the joystick around, but it didn’t seem to have that much impact on what happened). The Act has an even simpler input device (a rotating knob, not unlike the one from Pong), but the game play is surprisingly subtle. Basically, you rotate the knob to control the hero’s behavior, and the idea is to keep him active without forcing him to go over the top. So in the first bit of game play, in which he’s flirting with the nurse in a Casablanca parody, you’ve got to turn the knob with a lot of finesse–rather slowly, precisely, and sporadically–to avoid scaring her off. Between the nicely-done animation, unusual premise, and unique game play, I found the game pretty absorbing, and was playing when Deb arrived. She was intrigued, but when I asked her if she wanted to have a go, she said “No!” I should have asked her why, but didn’t. Back at my folks’ house, I looked into the story behind The Act, and found that I’d lucked into being one of the first people to play it. It’s the product of a Boston-area company called Cecropia, and is in a test rollout at seven Massachusetts and New Hampshire locations through January, including the bowling alley we’d gone to. The animation, directed by Broose Johnson, was done by laid-off veterans of Disney’s Orlando studio, and it’s good, funny stuff; even the backgrounds are well done. The Act has almost nothing to do with the barely-alive industry that arcade gaming has become–it’s low-key, free of violence other than the slapstick kind, and rewards restraint on the part of the game player. Most players of arcade games–who seem to be a pretty lonely bunch of pre-teen boys these days–probably wouldn’t like it; most people who might like it probably haven’t played an arcade game in years. I have no idea whether it stands a chance as a business enterprise, but I hope so–it’s a new idea, and one which makes excellent use of hand-drawn animation. If you find yourself near any of the test locations in the next few weeks, check it out. And if you don’t find yourself near them, stay tuned: Apparently, Cecropia has plans to release a home version at some point. When a major animation figure who was involved with a lot of wonderful cartoons dies, is it inappropriate to dwell on the dark side of his career? If anyone’s reading this, I may find out. At MGM in the 1940s, Joe Barbera and Bill Hanna made some of the funniest, most expressive, most alive short films–of any sort–ever produced anywhere. 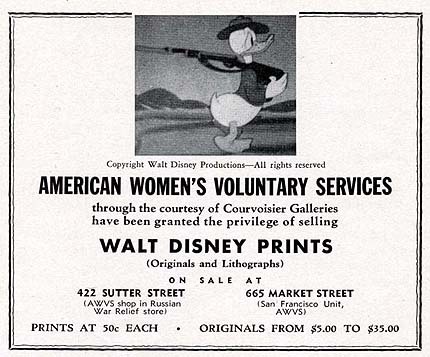 If they’d left the business when the studio’s cartoon arm closed in 1957, I’m convinced, their reputation today would be pretty simple to summarize: Everyone would know that they were grand masters of the American animated short, period. From the start, the HB studio’s work was derivative–Ruff and Reddy being clones of Crusader Rabbit and Rags–and by the mid-1960s, most of it was derivative junk without the saving graces of the early stuff. HB has been called the studio that saved the animation business, but to borrow a phrase from a war of that era, it had to destroy the artform in order to save it. I still wonder if TV animation would have gotten so bad so quickly if Hanna-Barbera hadn’t defined schlockiness down a little more each season for so long. And it was all doubly depressing because Hanna and Barbera had proved themselves capable of making wonderful cartoons. For all we know, Lou Scheimer and Norm Prescott were capable only of swill; Bill and Joe didn’t have that excuse. I remain convinced that they could have done better. Even with the budgets they had. Even in an era in which the networks made it almost impossible to produce a good TV cartoon.